IMO stands for Institute for Marketecology, also known as Control Body IMO. It is a for profit business employing more than 400 experts in over ninety nations, which inspects, tests, evaluates and verifies businesses as to whether they meet the standards of certifying organizations. In its own words, it is a “Leading provider for international inspection and certification services for organic, ecological and social standards.” IMO was established in 1989 in Switzerland. It is associated with the Swiss Accreditation Service (SAS) and is part of Ecocert. IMO also manages Fair for Life, evaluating conformability to fair trade and social responsibility standards (see our review of Fair Trade Certifications). The number of standards for which IMO verifies is approximately seventy. It does not propose and set standards. The standards it verifies are set by European-based organizations. Most notable are GOTS, IVN (International Association Natural Textile Industry), OTA (Organic Trade Association), and Demeter International. The products tested and certified by IMO are in the categories of personal care (including cosmetics), food, forest products (including wood and paper), and textiles. The area involving mattresses, pillows, and bedding is textiles. Forest products would be a concern for wood used in beds and foundations. There are seven areas in which a company can apply for IMO certification: Organic Certification, Fair for Life Fair Trade Certification, For Life (Social Responsibility) Certification, Aquaculture & Fisheries, Fair Wild Certification, UTZ Certification, GOTS Certification. 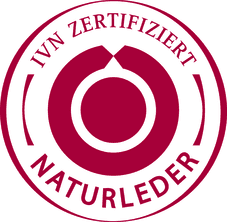 As stated above, the major application of IMO certification to mattresses, including memory foam mattresses, is the use of natural fibers in textiles. This also includes other uses of natural fibers in the mattresses. The major textile standard tested by IMO is GOTS, the Global Organic Textile Standard. To be organic, of course, fibers must first be natural. Some of the natural fibers used in mattress ticking and covers are cotton, linen, silk, wool, and cashmere. Bamboo does not count as completely natural or organic if it is made into rayon, which is the case with almost all “bamboo” fabric. However, the bamboo itself can be certified as to sustainability. The GOTS standard is not just for how fiber producing plants and animals are raised. It also is how the fiber is harvested and processed. This includes how the fiber is cleaned, as well as dyes and treatments that are applied. Fibers can also include those in batting and natural fiber fire barriers. Textile certification also considers what other fibers go into the fabric or other use of the natural fiber. 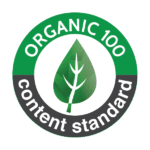 For this GOTS has two certifications: Organic 100 Content Standard (O-100) and Organic Blended Content Standard (O-Blend). O-100 means that 100 % of the content of the textile is organic natural fibers. O-Blend certifies that a certain percent of the fibers in a blended fiber textile is organic. This can be applied when the other fiber is synthetic, such as polyester or spandex. The IVN certifications IVN Certified and IVN Certified Best now require producers to first meet GOTS standards. As to Fair for Life certifications, natural fibers are produced by real people in real communities. As with other fair trade certifications, this considers the portion of the retail price that goes to the original producers and their employees as well as working conditions and community living standards. Standards for the Fairtrade Labeling Organizations International (FLO) are high. It is also costly in money and time to pay the fees and complete the paperwork. Fair for Life was founded in 2006 in Switzerland. Part of its mission is to make fair trade certification more available and affordable for those qualified producers who need it most. Very few mattress manufacturers in the United States currently display IMO certification. Two reasons are (1) IMO is not the standard setting organization, just the testing and auditing agency, and (2) IMO operates more in Europe, with other certification labs a9such as Intertek) at work in North America. For now, the IMO seal is more likely to be seen with mattresses whose textiles come from Europe.